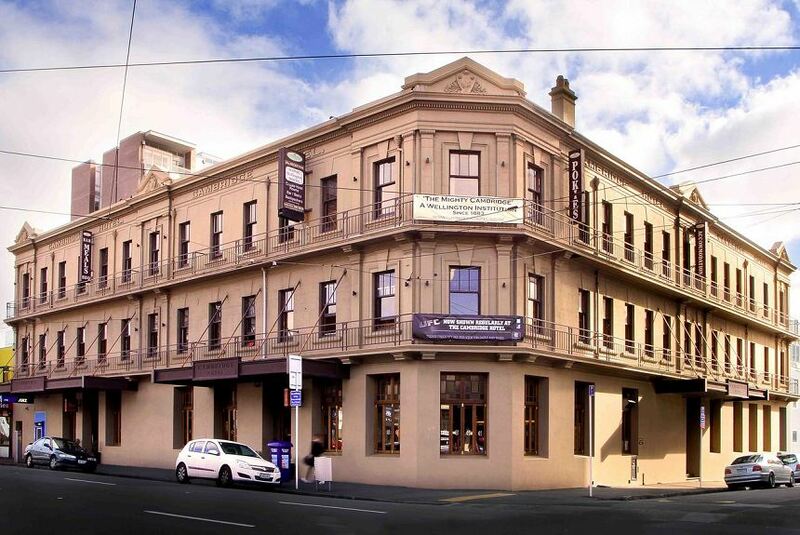 The 19th-century Cambridge Hotel offers accommodation in the heart of Wellington’s city centre, just 3 minutes’ walk from the Courtenay Place entertainment district. It features a bar and a restaurant, which offers $4 eggs on toast for breakfast. Guests receive 60 minutes' free WiFi per day. The Cambridge Wellington is located only 10 minutes’ walk from the renowned Te Papa Tongarewa Museum. The beautiful Oriental Bay Beach is a 15-minute walk away. The Cambridge offers a range of accommodation options, including mixed dormitory rooms and private guestrooms with en suite bathrooms. Most rooms come with satellite TV, a refrigerator and tea and coffee making facilities. Facilities at The Cambridge Hotel include a communal kitchen and a guest lounge with a large plasma-screen TV. The 24-hour front desk can arrange laundry services and luggage storage.